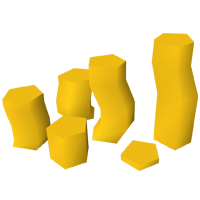 Services - Any service provided by RSGoldFund.com, including in-game transfer of digital items. RSGoldFund has no affiliation with JaGeX Ltd. or its parent companies. Registered Names and Trademarks are the copyright and property of their respective owners. RuneScape is a registered trademark of of JaGeX Limited 1999-2014, Jagex Ltd.
Every effort is made to keep the site free from malware (computer viruses, spyware, etc. ), however, RSGoldFund cannot guarantee that its website is free from malware. Any downloads made by You on this website are at your own risk. Buying in-game services for real money is against the terms and conditions for certain online games. Your account may be subject to termination by the game operators when you breach their terms. RSGoldFund is not liable for any actions taken against Your account following a transaction. RSGoldFund will not reimburse any items / services which have been terminated following a transaction. You are responsible for any unauthorized access to Your in-game accounts at all times. RSGoldFund will not replace delivered products or services which have been lost or stolen, for any reason. Once the service has been completed by RSGoldFund, RSGoldFund is relieved of all responsibility. This includes services which have been partially delivered. Refunds may be requested prior to delivery of the products or services by RSGoldFund. Refunds are only available as credit towards future purchases. Cash refunds are only granted in cases in which RSGoldFund decides that the order cannot be completed, for whatever reason. Refunds will not be granted in any circumstance after the product or service has been delivered by RSGoldFund. RSGoldFund’s services can not be used as an escrow service. If You are found to be using The RSGoldFund’s services as a form of escrow, RSGoldFund may hold your funds for up to 24 hours to investigate the issue. RSGoldFund will then decide whether to refund the payment in cash or deliver the products and/or services ordered. Our service should never be used to transfer money to third parties. Doing so is in direct violation of our terms and conditions, and will result in your account being permanently banned from using our services in the future. These identity verification methods help RSGoldFund in preventing fraud. Failure to comply with RSGoldFund’s request may result in 24 hour payment seizure and/or a refund of your payment. RSGoldFund reserves the right to refuse business to You if you do not complete the requested identity verification. RSGoldfund.com does not allow orders to be placed while customers are using services which obfuscate their IP address. We reserve the right to refuse orders from you if you are using a VPN or VPS, or any other similar service which is intended to mask your true geolocation. Any refunds resulting from your use of geolocation masking services will be provided at the customer’s expense. We may refuse business to customers in the future for their historic use of geolocation masking services. RSGoldFund seeks to eliminate fraud through identity verification procedures. In the circumstance that Your payment is reversed following a completed order by The Company, The Company reserves the right to deduct the reversed amount from future orders made by You. RSGoldFund reserves the right to seek repayment for all reversed transactions for which the services have already been completed. RSGoldFund reserves the right to submit your full information to authorities and payment processors following a reversed payment. RSGoldFund also reserves the right to share your name and payment information with other merchants following a reversal. If You believe the delivery of your products or services were not properly completed by RSGoldFund, then you must notify us immediately through our Live Support system, or by sending an email to [email protected] We will investigate your claim and respond as soon as possible. The compilation of all content on this site is the exclusive property of RSGoldFund and is protected by domestic and international copyright laws. All software used on this site is the property of RSGoldFund or its software suppliers and is protected by domestic and international copyright laws. Upon request, you agree to defend, indemnify and hold harmless RSGoldFund and our affiliates, contractors, vendors, and content providers from all liabilities, claims and expenses, including attorneys' fees, that arise from or relate to a breach of these Terms & Conditions for which you are responsible or in connection with your distribution of any content on or through RSGoldFund.com services. If any part of this Terms & Conditions is held invalid or unenforceable, that portion shall be interpreted in a manner consistent with applicable law to reflect, as nearly as possible, the original intentions of RSGoldFund, and the remaining portions shall remain in full force and effect. The failure of RSGoldFund to exercise or enforce any right or provision of this Terms & Conditions will not constitute waiver of such right or provision. Any waiver of any provision of this Terms & Conditions will be effective only if in a writing signed by RSGoldFund.com.